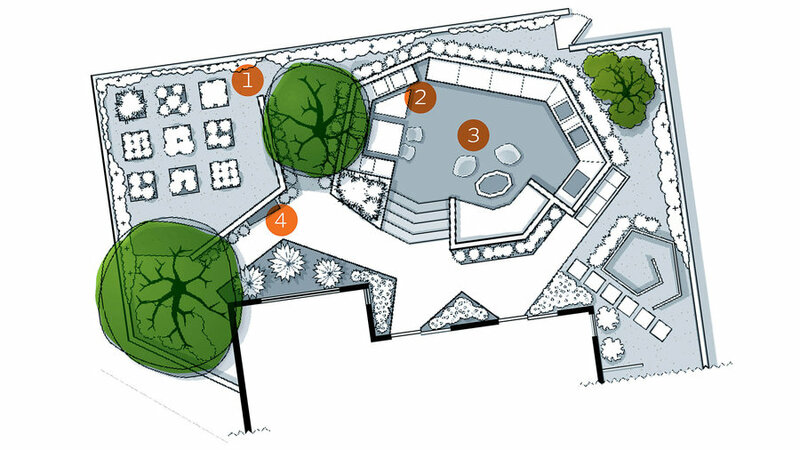 “Casual but swank” is how landscape designer Jason Isenberg describes his outdoor gatherings. 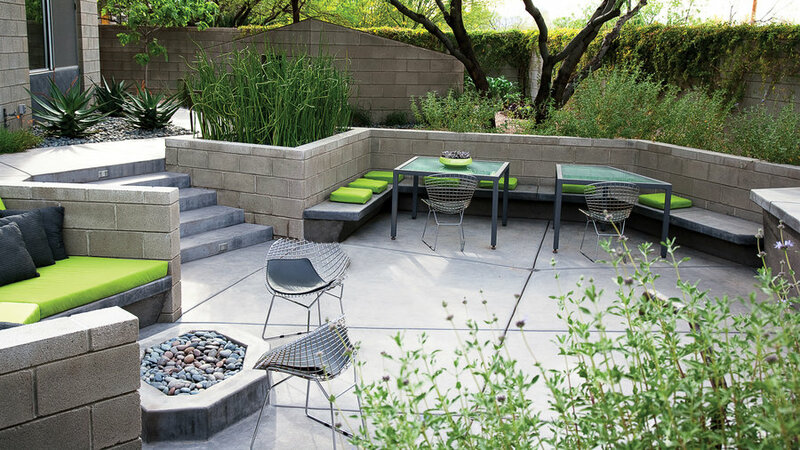 And the sunken “party pit” that he designed for his backyard suits his easy living style. 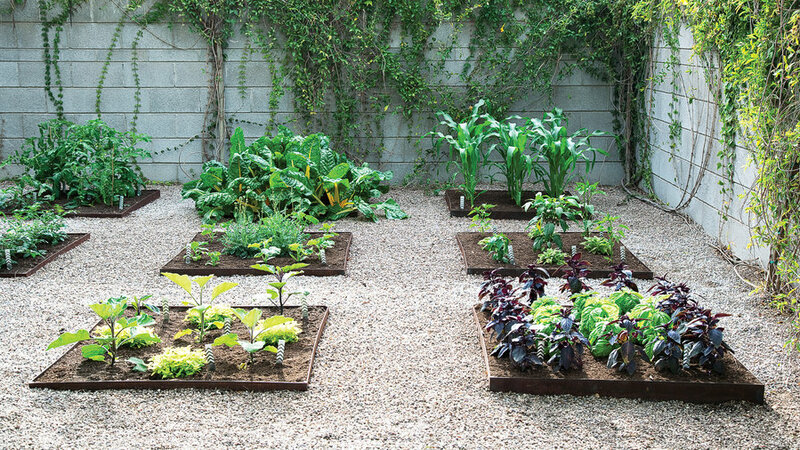 Everything he needs to prepare meals outdoors is here in his countertop kitchen, and a few steps away is a stylish veggie garden that yields many of the ingredients he likes to use. Jason mans the grill, but he invites his guests to pick the vegetables, then clean and slice them—with a cool mojito in hand, of course. 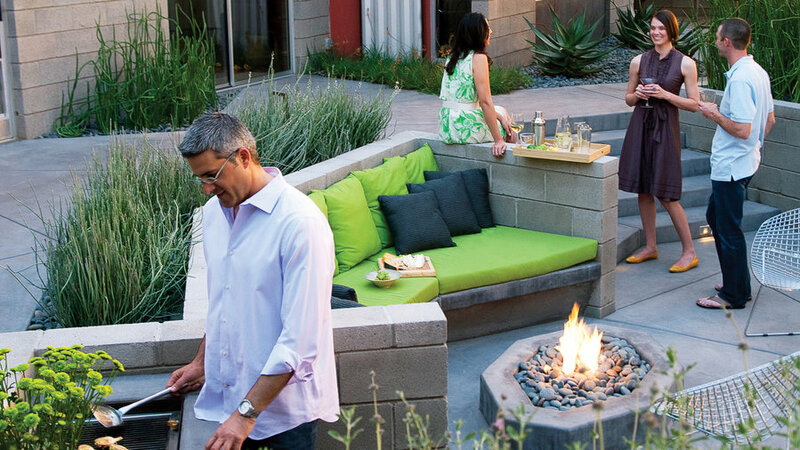 The side-by-side “living pantry” and dining patio keep gatherings casual and easy on the host. Nine beds with steel edgings form a grid of neat 3-foot squares. Crops include eggplant and basils (front), and tomatoes, chard, and corn (rear). 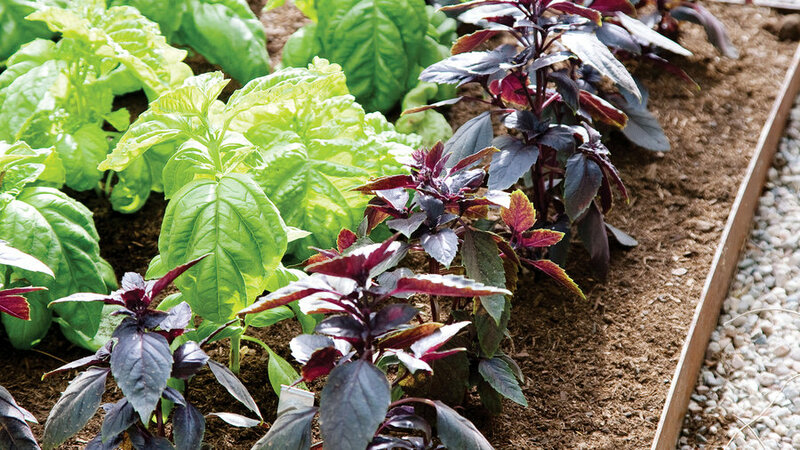 Several varieties of basil grow together in one well-organized plot. The beds are raised but only slightly, to keep the soil cool. Two metal-and-glass tables snuggle up to built-in seating. Aromatic Salvia clevelandii grows behind, with a velvet mesquite tree for shade. 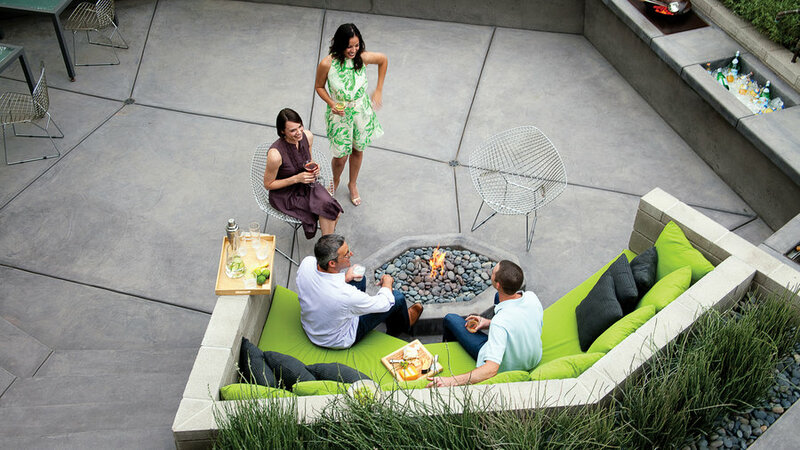 A built-in sofa with lime green cushions gets cozy beside the gas firepit. It also keeps guests close to the long concrete counter with the wok, a deep sink that doubles as a beverage cooler, and the buffet area. 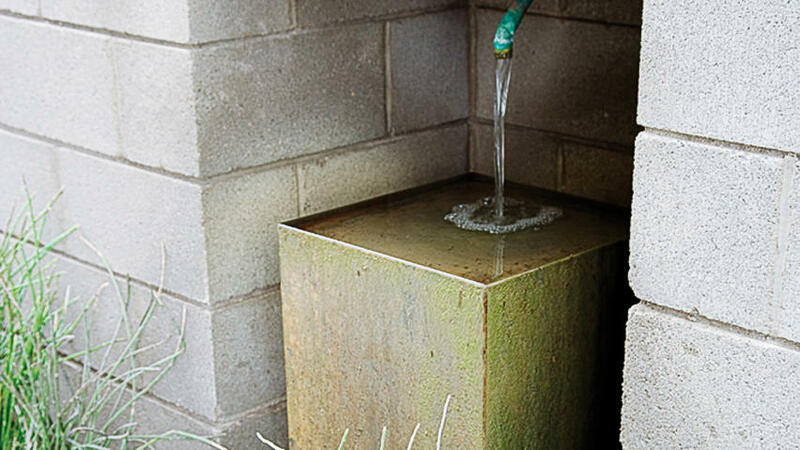 Water spills from a copper pipe into a shallow basin atop a powder-coated steel obelisk, then recirculates from a second basin below. 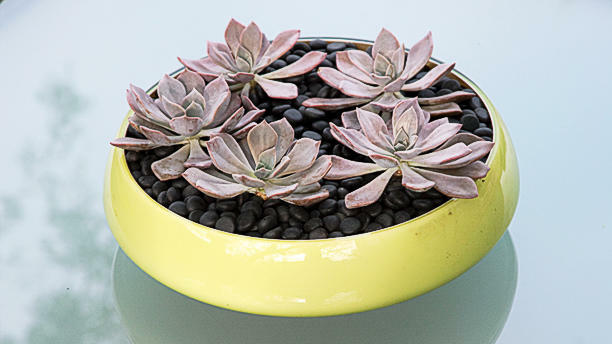 Lavender-gray echeverias cluster in a yellow-green bowl that matches Jason’s color scheme and no-fuss style.